Sure, Texas may be known for world famous oil wells, ten-gallon hats, and longhorn steer ....but that still leaves miles and miles of beautiful shoreline . Along the Gulf that includes Corpus Christi beaches, Galveston, the Colorado River beaches near Austin, and vast acreage of Texas state parks for summer vacation fun. Located on the Texas Gulf Coast between Galveston and Corpus Christi, Port Lavaca, Texas offers local attractions such as Alamo Beach, Indianola, Magnolia Beach, Olivia, Point Comfort, Port Alto, Port O'Connor, and Seadrift. And, aptly named Surfside, Texas -- formed by the Gulf of Mexico and the Intracoastal Waterway -- offers up 21 miles of shoreline with beach parks, great surfing, and special events and celebrations throughout the summer. 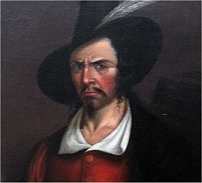 • Infamous French pirate Jean Laffite ruled the coast of Galveston for two decades during the early 19th century before government officials forced him to flee to Honduras. • The eight Miradores Del Mar (Spanish for “overlooks by the sea”) bayfront gazebos located along the Corpus Christi seawall are copied from similar structures in Morocco, Mexico, and Spain. • Of the 16 lighthouses originally constructed along the Texas coast, the Port Isabel lighthouse is probably the most photographed and remains the only one open to the public. The square block that encompasses the lighthouse is Texas' smallest state park, the Port Isabel Lighthouse State Historic Site. Texas Parks & Wildlife - Swimming - Vacation fun in the sun with everything you need to know about where to boat, fish and swim in the state park network with related guides to ocean swimming and the best locations for swimming pools. The Guide to Texas Outside - Discover the whole Texas guide to swimming, surfing, fishing, hiking, hunting and anything else you can do out of doors with a special look at Southern Texas.